Small, lightweight, and no maintenance required! 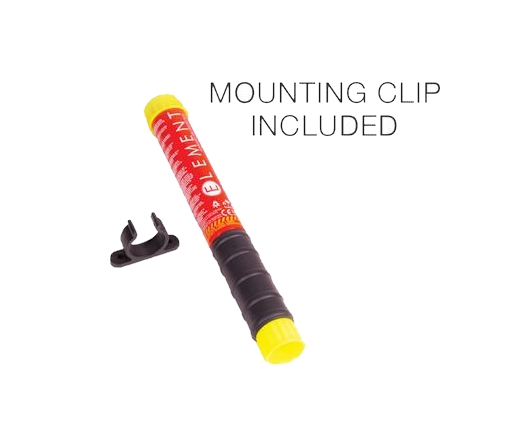 Element Fire Extinguishers pack all the power and coverage of a full-sized fire extinguisher into a package small enough to fit into your glovebox. Unlike a dry-chemical fire extinguisher that uses solid powder to smother a fire until it's out, the aerosolized gas from Element's extinguishers attaches directly to the surrounding oxygen molecules, robbing fires of their fuel source. Click below for demonstration videos!